Is it possible to submit an abstract? Yes please first follow the REGISTRATION link in the home page. You will be pronted to the AIT2018 Conference System. After registration you will be logged in, on the right menù click on “My profile” and flag your role as “Author”. In this way from the USER HOME you will be able to submit your abstract. Do I have to pay the conference fees? Yes, everybody has to pay. The only excluded categories are: the members of the Organizing Committee, the Invited Speakers, the students who want to attend the conference without presenting a contribution. The official language of the conference is English. This means that the abstracts have to be prepared in English as well as the presentations. No traslations services are available. I have my abstract in English and my Powerpoint too, but the audience is Italian only. Do I have to talk in English? If you are sure that no non-Italians are present in the room you can have your talk in Italian. How can I find an arrangement in Florence? AIT2018 cannot support you in finding an arrangement. If you need help please visit this page. What is included in the conference fees? 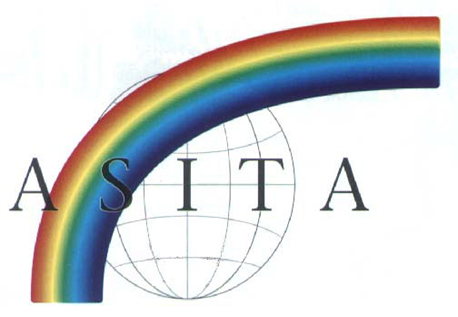 The conference fees include the inscription to AIT (Associazione Italiana di Telerilevamento/Italian Society for Remote Sensing) for the year 2018, the possibility to submit ONE contribution to AIT2018, the media kit, the lunch for the 5th of July at the University canteen and 4 coffee breaks (4-6 July). What to do if I want to submit more than one contribution to the conference? Each contribution to the conference must be linked to a valid registration with the related fees payment. For example if you have co-authors of the contribution they can register to the conference as well. Is it possible to participate to the conference without submitting a contribution? The conference is open to all interested people. Students can access free of charge (but they cannot participate to coffee breaks and to the lunch). Non-students have to register with the payment at the desk of reduced fees.